I’m a 19 year old female that lives for all things motorsport. I’m currently in my second year studying a Motorsport Management and logistics degree at Myerscough College with grades consistently above 80%. While doing my degree I’m also continuing my focus on my rallying campaign. I started navigating when I was 16 in stage rallies before swapping into the drivers seat in 2016. 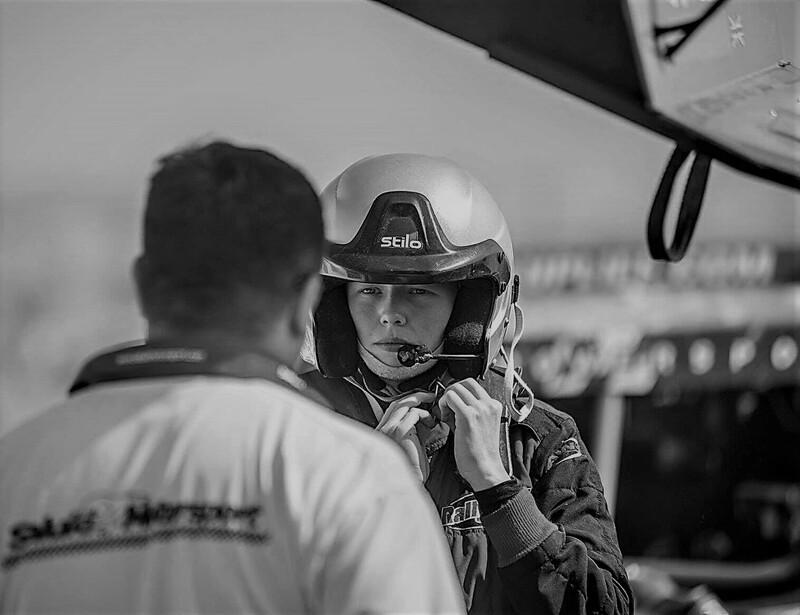 In September 2018, I moved back into the navigators seat so I could focus on gaining experience competing in the desert, after three podium finishes in the UAE BAJA Series I’ll now be navigating in the FIA World Cup for Cross Country Rallies. When I’m not out competing I’m attending events as a trainee scrutineer aiming to gain my license, I’ve been attending Wales Rally GB for the past two years as a international scrutineer along with other international UAE rallies. I’ve grown up within a motorsport family, from as little as a few months old I was brought into the garage and I haven’t left since. While growing up I spent a lot of time on the road traveling from one country to another. Due to my parents competing within the Dakar Rally for 15 years, I would spend most summers at international events or in Morocco training with RallyRaidUK. From the age of 6 I began riding motorbikes with my sister and cousin, I set my eyes on winning the Dakar on a bike. While the dream never left, I took a detour a few years later and began show-jumping in juniors and seniors at national level. Successful within my own domain, I won three Gold medals for England North and over 20 Championships before the age of 16, I progressed to becoming a rider at a International showjumping yard in early 2016 with a string of horses from youngsters to grand prix winners. I later realised I was missing a huge chunk of my life so began following my heart which lead me back to motorsport. 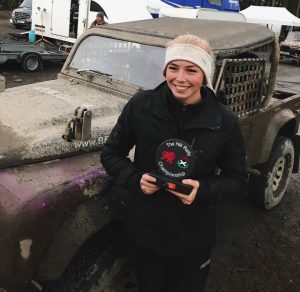 Although I am only 19 and believe keeping my options open is a must, my long term aim is to own and run a success world team within the Motorsport Industry, along with becoming the first British female driver to win the Dakar Rally along with the FIA World Cup for Cross Country Rallies. My short term goal is to become the highest placed female driver in the National Cross Country Championship and do the double winning the Hill Rally Championship Class 7.